What's your fav Donkey Kong game? Who would want this निनटेंडो 3DS Theme? I would give the code to the first person who answers. Which Donkey Kong game is better? a poll जोड़ा गया था: What's your fav Donkey Kong game? 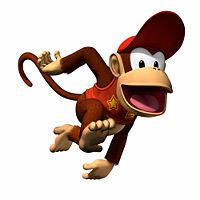 Which game marks the first appearance of Diddy Kong?